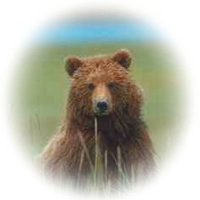 This page contains Yellowstone National Park bear sightings reported in 2014. These reports will give you some idea of where and when bears have been seen in Yellowstone. It is hoped that you will enjoy the reports and the trips that we and our friends have made to Yellowstone. Our thanks and appreciation go to those who have taken the time to write and send their reports and photos. We hope that you will enjoy them until you can make your own trip to Yellowstone National Park, our first and grandest National Park.